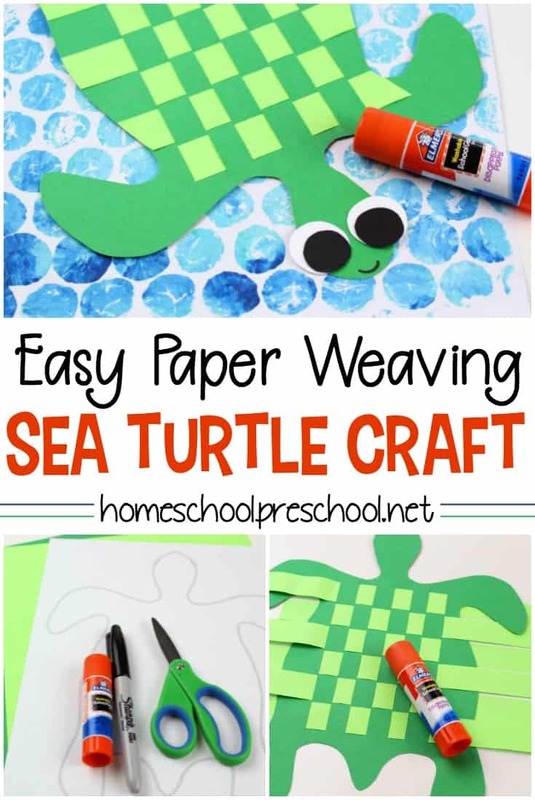 Are you looking for a super simple craft to do with your kids? 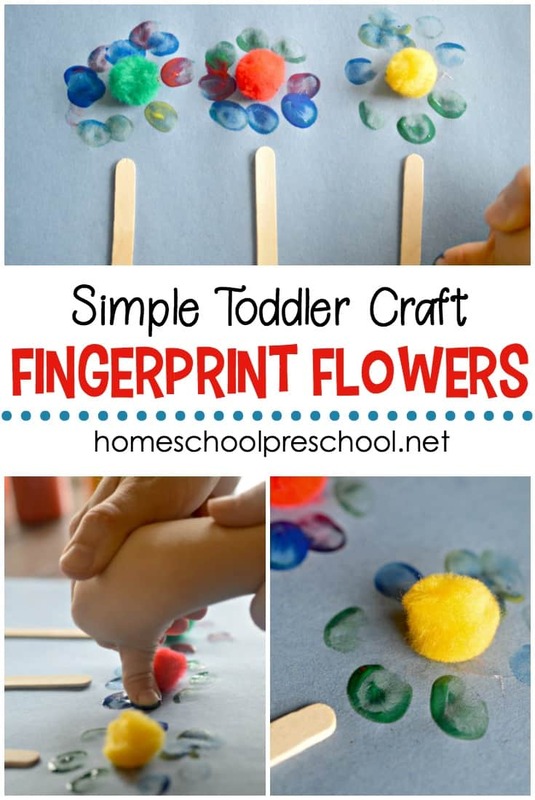 It doesn’t get any easier than this fingerprint flower craft! 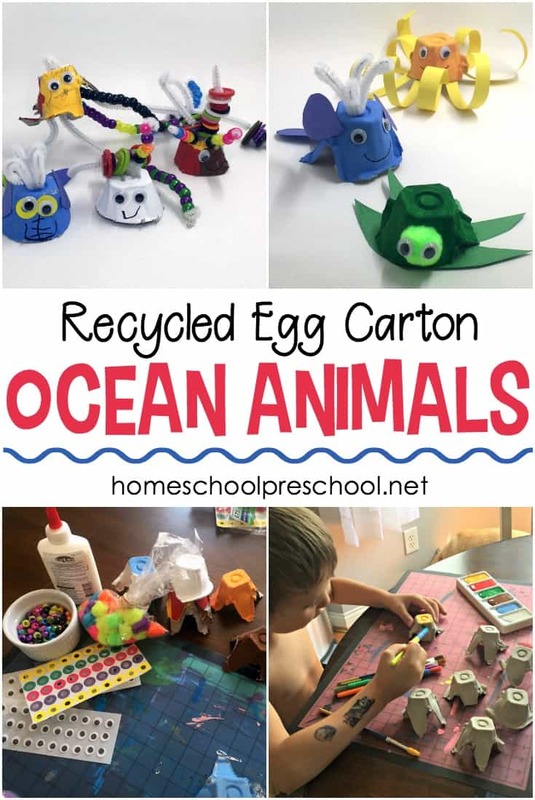 With a few supplies you probably already have at home, your little artists can create a one-of-a-kind masterpiece you’ll be proud to display on your fridge. 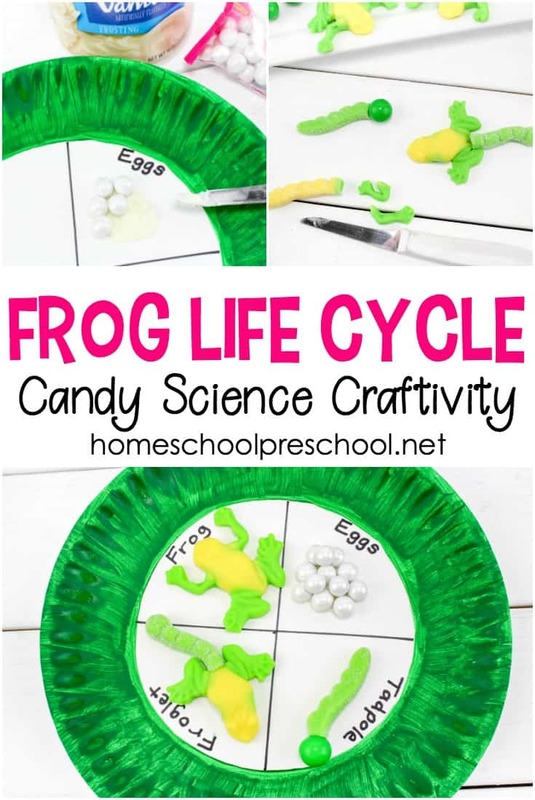 This is a great project to complete during the spring season when the flowers are blooming. Before you get started, take a short nature walk around the neighborhood to look at the different colors flowers can be. 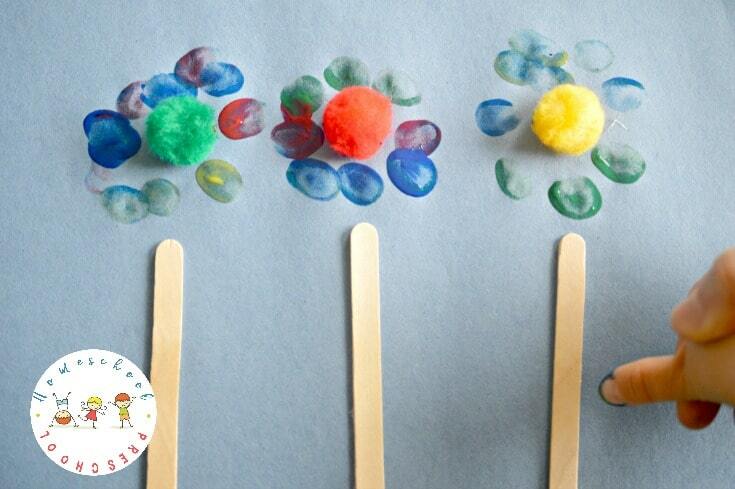 Talk about which color(s) your toddler or preschooler wants to make his/her flowers. 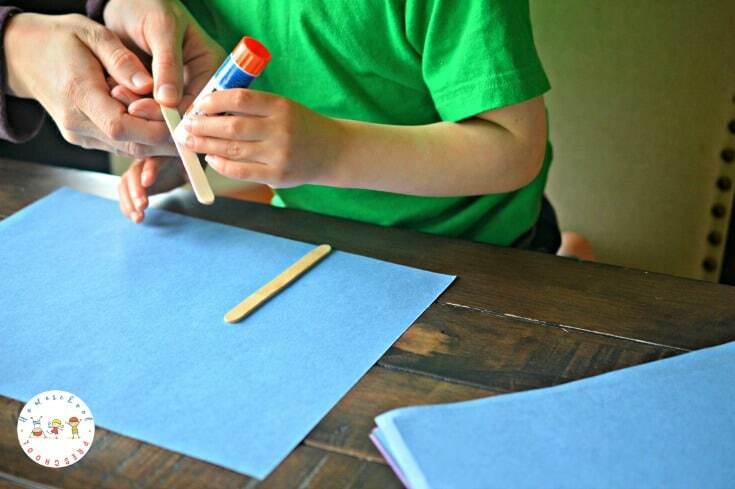 Use the glue to paste the popsicle sticks to the construction paper for the flower stems. 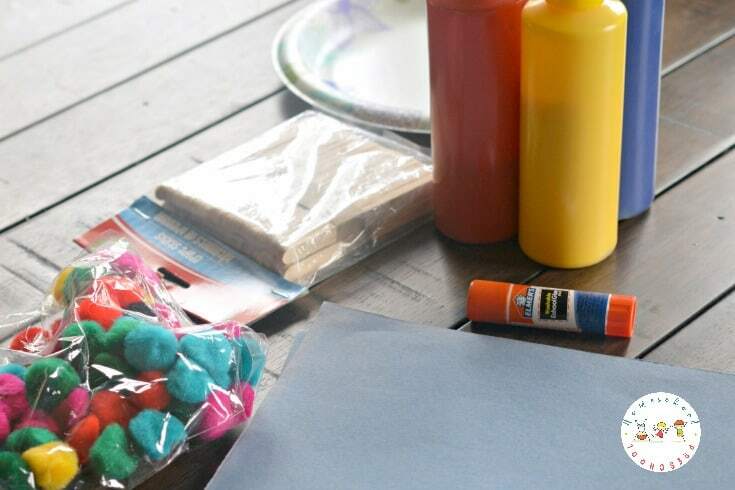 You could use the pre-colored popsicles sticks instead of plain if you’d like. Place a dab of glue just above each popsicle stick and stick a pom pom on it for the center of the flower. 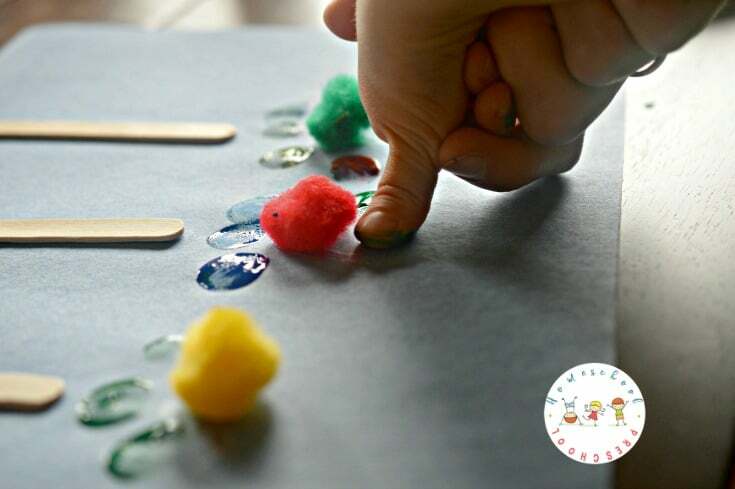 Let your toddler dip his finger in the paint to put “petals” on the flower. They can add leaves with their fingers as well. 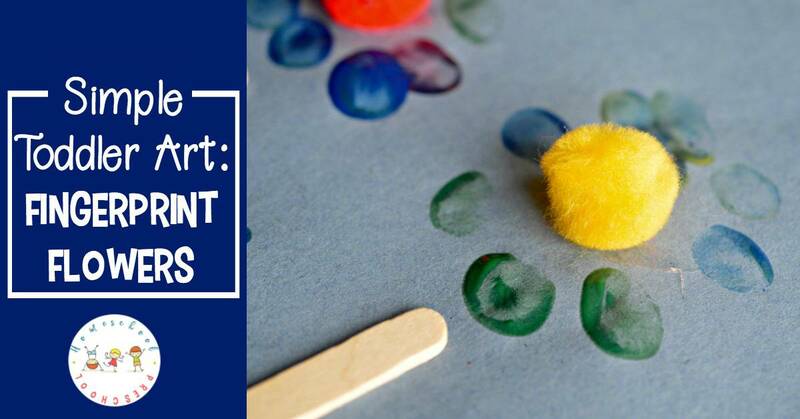 Your little one could also add to their art by drawing in the sun, bugs, or anything else they can imagine would be in the picture. Super simple. Super cute. And, virtually mess free! 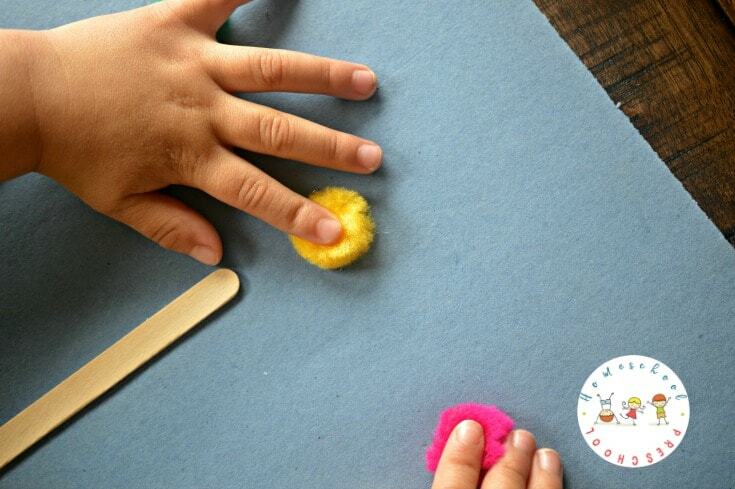 Preschool crafting doesn’t get any easier than this simple fingerprint flower craft for kids. While your child’s flower craft is drying, take a moment to read a book or two about flowers. You should be able to find these at your local library. If not, you can order from Amazon using my affiliate links below. 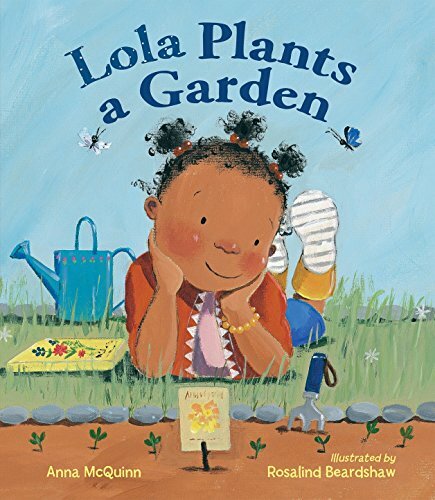 • Lola Plants a Garden | How does your garden grow?Book-loving Lola is inspired by a collection of garden poems that she reads with her mommy. She wants to plant her own garden of beautiful flowers, so she and Mommy go to the library to check out books about gardening. They choose their flowers and buy their seeds. They dig and plant. And then they wait. Lola finds it hard to wait for her flowers to grow, but she spends the time creating her own flower book. Soon she has a garden full of sunflowers and invites all of her friends for cakes and punch and a story amongst the flowers. • Oh Say Can You Seed? 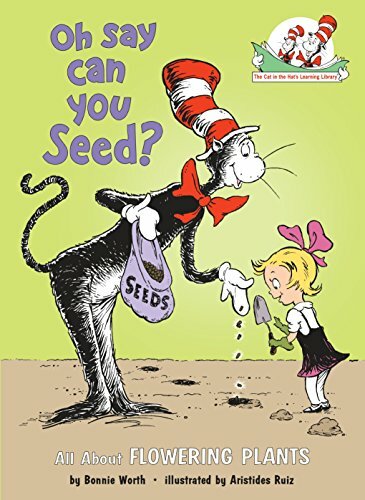 | With the able assistance of Thing 1 and Thing 2 — and a fleet of Rube Goldbergian vehicles — the Cat in the Hat examines the various parts of plants, seeds, and flowers. 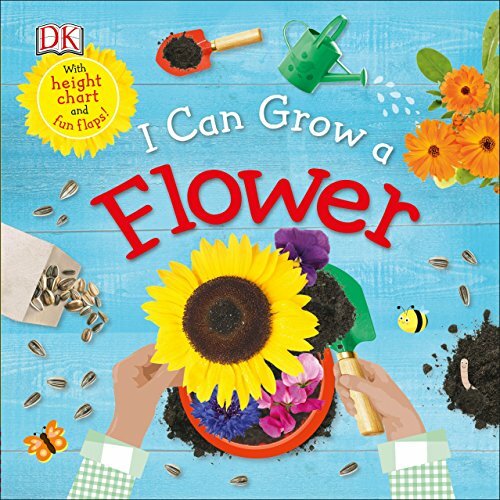 • I Can Grow a Flower | Teach your child how a tiny seed grows into a flower in this fascinating lift-the-flap garden story. A pullout height chart ends the book–a great way for children to remember how a sunflower grows, and to measure how fast your child grows, too!